The NewYork-Presbyterian/Queens Department of Obstetrics and Gynecology is looking for a BC/BE OB/GYN to join our growing OB/GYN hospitalist team in Flushing, Queens. This 535-bed tertiary facility is an academic affiliate of Weill Cornell Medical College, and has been an integral part of the community since 1957. With 4,400 annual births, this team provides 24/7 in-house coverage, runs 3 LD operating rooms, 9 LD recovery rooms, 9 operating rooms (one equipped with a robot), and 10 ambulatory surgery rooms. The multi-disciplinary team also includes 17 PAs, who are labor triage specialists;, a team of highly experienced obstetrical nurses, as well as our ACGME accredited OB/GYN residents. 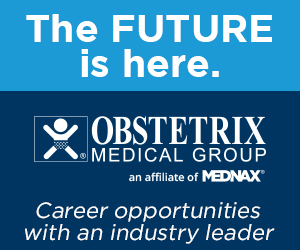 TeamHealth has an excellent opportunity for a full-time physician to join our OB/Gyn Hospitalist team at Faxton St. Luke's Hospital in Utica, New York. Put the passion back into your practice and your life by taking control of your time. Full-time entails providing eight 24-hour in-house shifts per month. The ideal candidate will be a board certified OB/Gyn physician who demonstrates clinical excellence, with stellar communication skills, and a focus on providing quality care and placing the patient above all other considerations. Qualifications also include active and current skills in the full breadth of the OB/Gyn specialty, and a current New York license to practice. Other requirements include a willingness to drive patient safety and quality initiatives as required by the TeamHealth Patient Safety Organization, insurability for malpractice insurance, at least 2 years of active practice, and a successful track record. 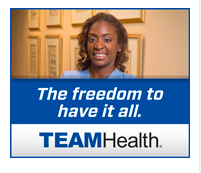 TeamHealth offers competitive pay and many other benefits with this opportunity. 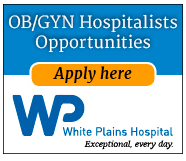 White Plains Hospital (25 miles from Manhattan, NY) is seeking OB/GYN Hospitalists to join our well-established program. Exciting Opportunity to maintain Work /Life balance with a requirement to commit to 192 hours spread over 12 or 24 hour shifts per month. Shifts will be 24 hours, with the potential for 12 hour shifts. Completion of an OB/GYN Residency and/or Fellowship program. White Plains is just an hours drive from three major international airports and ten minutes commute from White Plains county airport. White Plains Hospital has a reputation for both clinical excellence and outstanding personalized care. White Plains Hospital- Exceptional, every day. Please submit your CV for consideration and for more information. Description: A large OB/GYN medical practice is seeking a hospitalist to work in Labor and Delivery in a local hospital on Long Island. This hospitalist would be performing the deliveries of the practice from Monday through Friday. 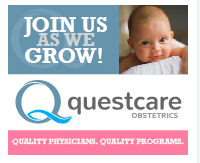 We are seeking a BC/BE OB/GYN whose mission will be to give expectant mothers on-site excellent care. Our practice is affiliated with Katz Women�۪s Hospital at Long Island Jewish - one of the best maternity hospitals in the country. Full time position, benefits offered. Job Type: Full-Time Position. Eight 24 hour shifts per month���most with an in-house certified nurse midwife and all with an OB/GYN back-up physician in place for safety. Description: Upstate Community Medical Group is seeking a board certified/board eligible OB/GYN to practice as an OB/GYN Hospitalist at the Upstate University Hospital at Community Campus in Syracuse, New York. The OB/GYN Hospitalist Program at Upstate University Hospital at Community is a premier, full-service, 24/7 in-house coverage program in Central New York that improves clinical outcomes and facilities the growth and expansion of our obstetrical and gynecologic services on our campus. In collaboration with our affiliated providers, we provide patient-centered, evidence-based care to all patients who present to either our emergency department or Labor and Delivery, as well as to admitted patients who require urgent or emergent OB/GYN services. Job responsibilities include: the antepartum/intrapartum/postpartum management of obstetrical patients; provision of elective male circumcisions; evaluation and treatment of gynecologic conditions in E.D. 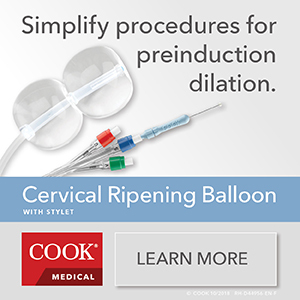 and/or admitted patients; and the ability to be the primary surgeon, (or the assistant), for operative vaginal deliveries, cesarean sections, and common gynecologic procedures. The OB/GYN Hospitalist team also assists our leadership with tracking clinical outcomes and instituting patient safety measures to ensure that the highest quality of care is being given to our patients. Description: White Plains Hospital has a reputation for clinical excellence and outstanding personalized care. Our state-of-the-art hospital is a twelve-time winner of the Consumer Choice Award, an honor given to the nation�۪s top hospitals by the National Research Corporation and has been awarded Magnet Status by the American Nurses Credentialing Center. Come find out what makes White Plains Hospital exceptional every day. 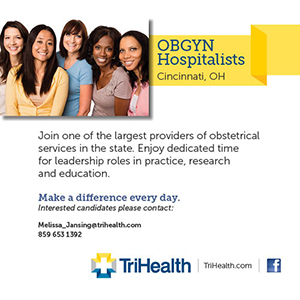 We currently have exciting opportunities for OB/GYN Hospitalists to join our team. 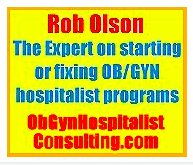 The OB/GYN Hospitalist provides obstetrical and gynecological care and consultation to inpatients, the Emergency Department and those arriving in L&D during evening and night hours. The qualified candidate will provide assessment and triage of obstetric patients in coordination with the patient�۪s physician as well general obstetric/gynecological care and assistance with surgical procedures. We offer an excellent starting salary with world class benefits. We are conveniently located 20 miles north of NYC in Westchester County, offering the best of suburban family life, excellent school systems with easy access to all that Manhattan has to offer. Please send your CV including salary requirements, to the contact information below.